The Executive Committee of the National Economic Council (ECNEC) today approved the upgradation of the Jatrabari (Mayor Hanif Flyover) – Demra (Sultana Kamal Bridge) highway in to four-lane project with Taka 368.87 crore in a bid to facilitate vehicular movement and reduce traffic congestion. The approval came from the maiden ECNEC meeting of the present government’s term held with ECNEC Chairperson and Prime Minister Sheikh Hasina in the chair at the NEC Conference Room in the city’s Sher-e-Bangla Nagar area. Of the approved eight projects, seven are new while another one is a revised project. The Roads and Highways Department under the Roads and Highways Division will implement the project by June 2020 with entire government fund. The Planning Minister said the Jatrabari-Demra-Shimrail-Narayanganj (Chashara) is an important regional highway which is connected with two important highways Dhaka-Chattogram National Highway (N-1) and Dhaka-Sylhet National Highway (N-2) . “Under the circumstances, the project was placed in the day’s meeting and was approved,” added the official. 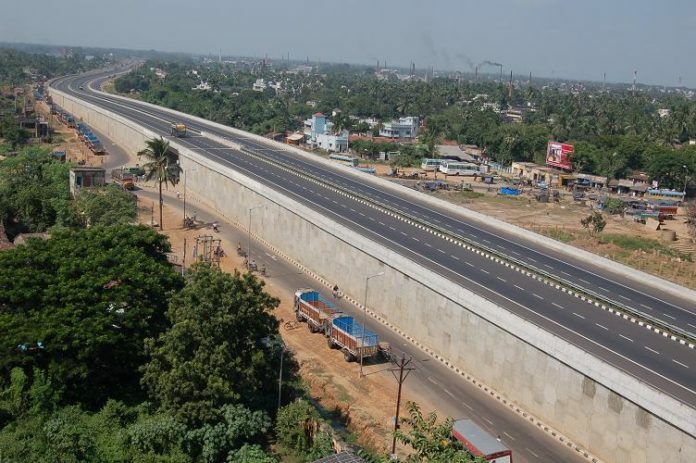 The main project objectives include upgrading the Jatrabari-Demra Highway into four-lane, ensuring smooth plying of vehicles through minimizing traffic congestion, introducing separate service lanes for the plying of engine-based and engine-less vehicles and thus reducing accident tendency to a big extent. An official at the Roads and Highways Division said that the vehicles to and from Sylhet usually avoid the Kanchpur Bridge due to traffic congestion and use the Tarabo-Jatrabari road which is 10 kilometer long and 7.3 meter wide. Under the proposed project, the road would be upgraded into four-lane with a width of 15.60 meter. Besides, there will be separate service lanes for the slow-moving vehicles. The main project operations include 0.0728 hectare land acquisition, some 4.1633 lakh cubic meter earth works, construction of four-lane main carriage way, construction of 6.645 kilometer service lane, construction of 8 underpasses, construction of PC girder bridge, over bridge, and drains with footpath.